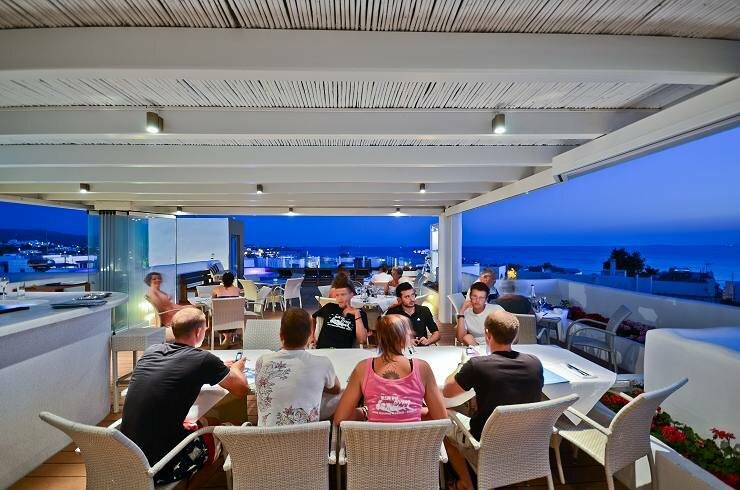 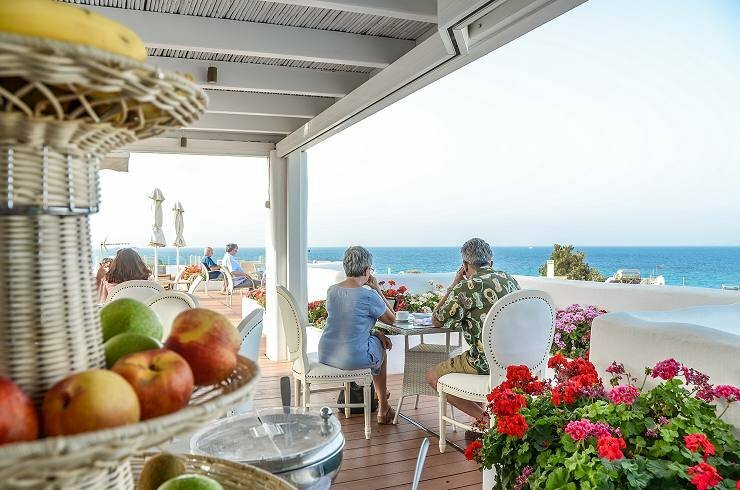 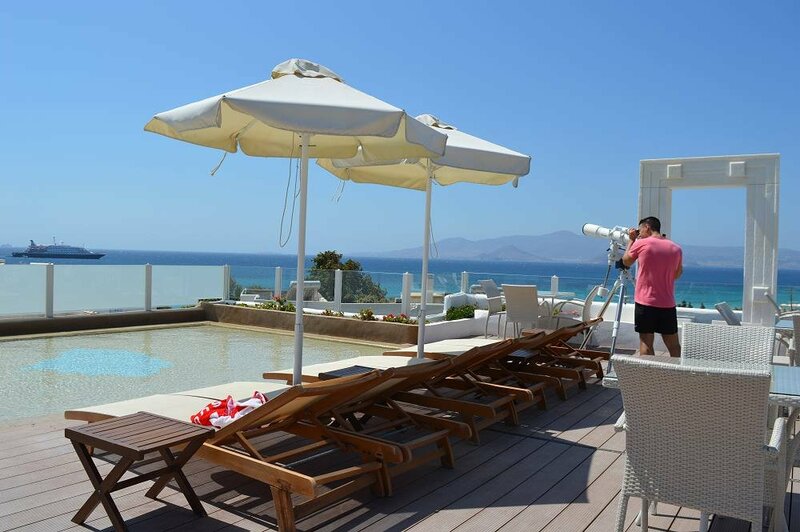 The hotel is located very close to the beach of Agios Prokopios, a beach of unique beauty, known for its crystal clear water and white sand. 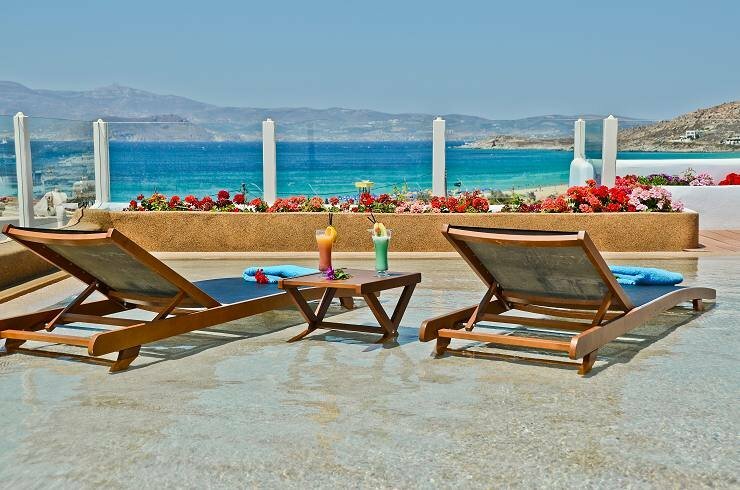 Other famous beaches nearby the Hotel are Agia Anna and Plaka. 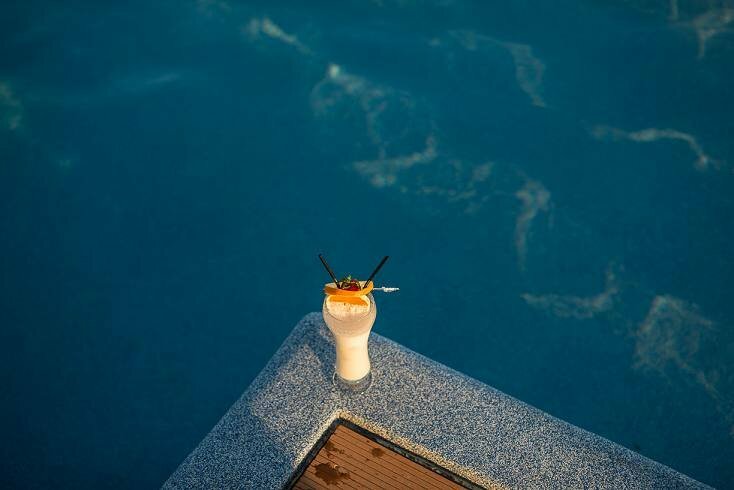 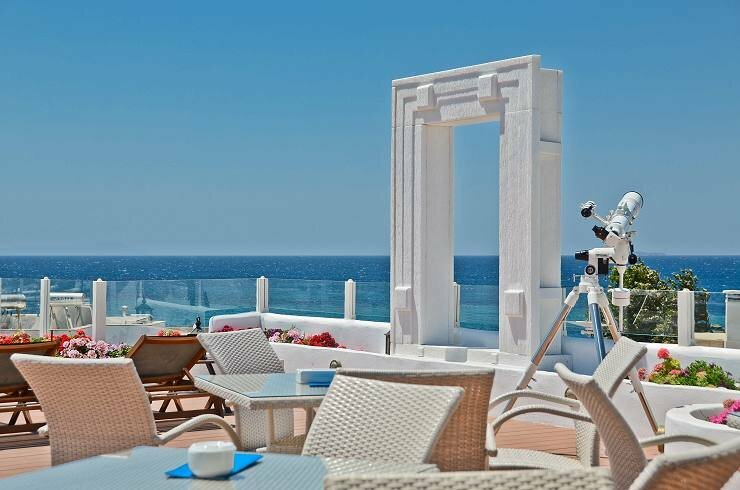 The hotel offers double sea view rooms with balcony, double garden view rooms with balcony and double rooms with private veranda and private jacuzzi. 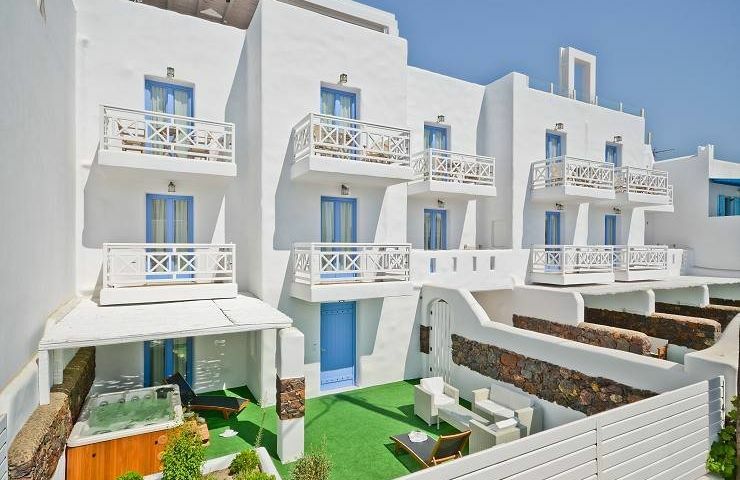 The hotel offer also one suite with master bedroom and a sitting corner, private big veranda and private jacuzzi. 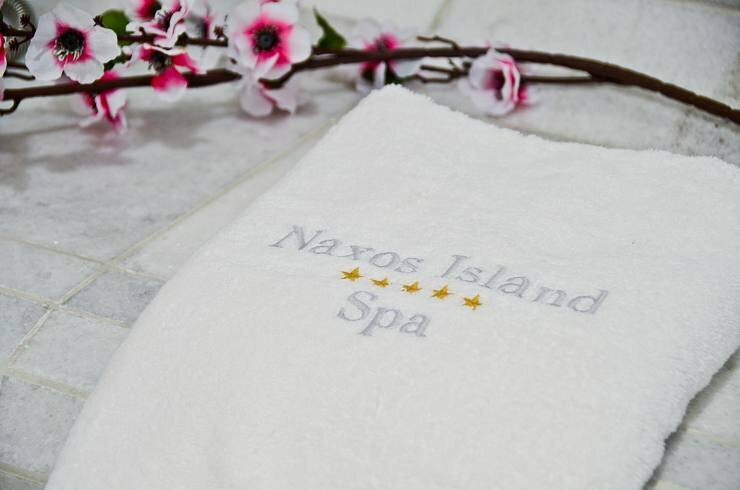 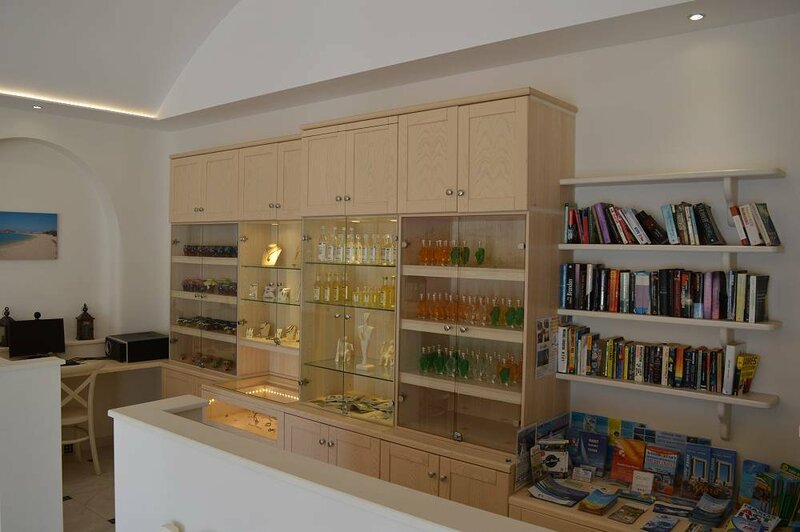 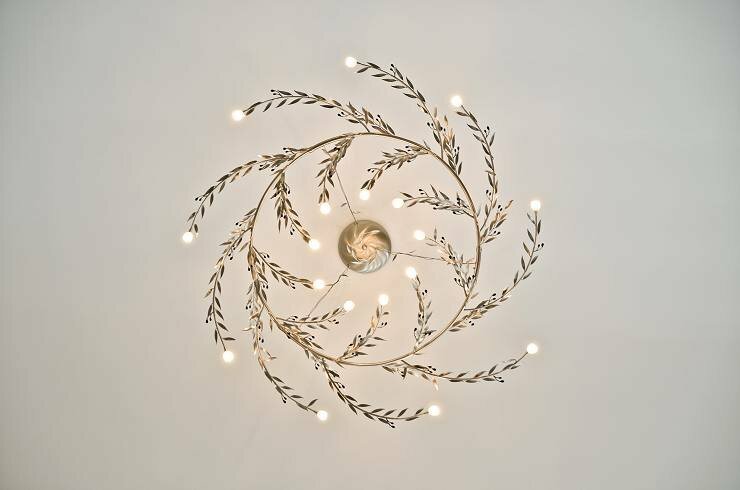 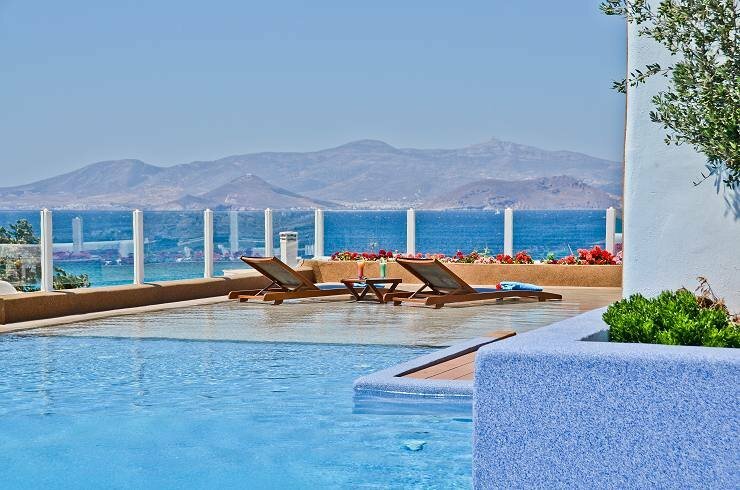 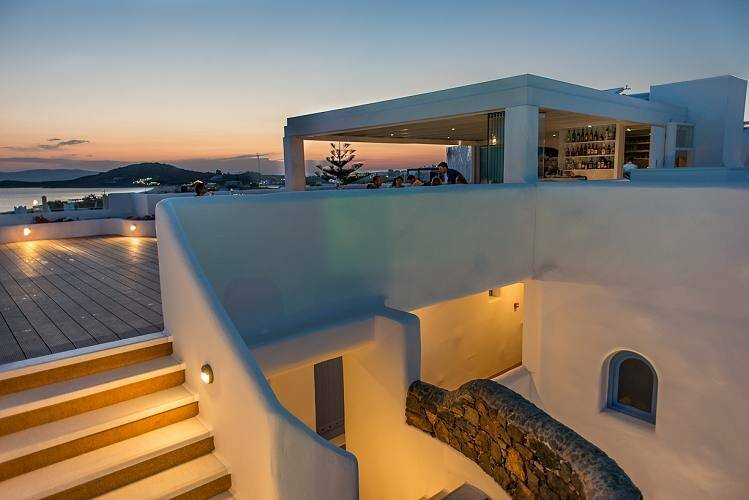 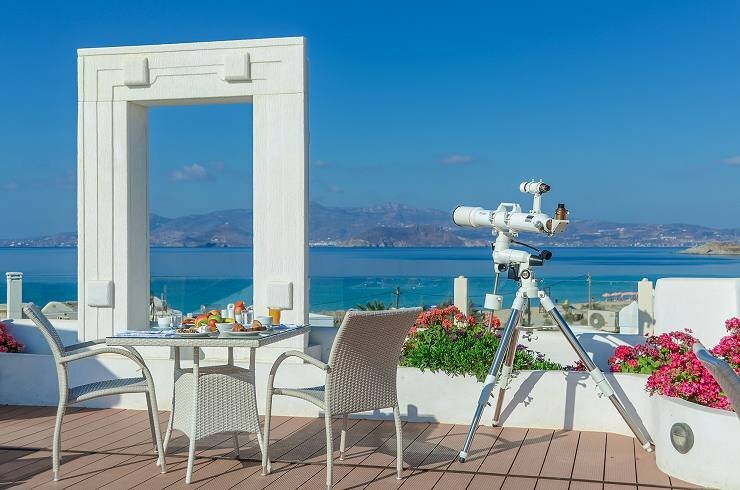 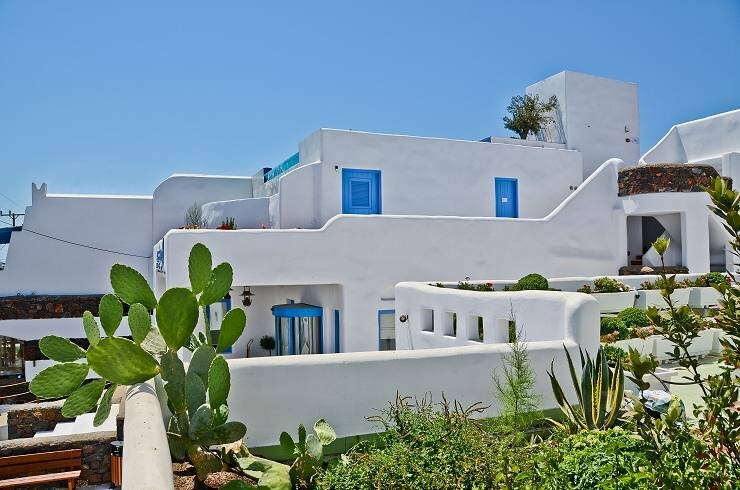 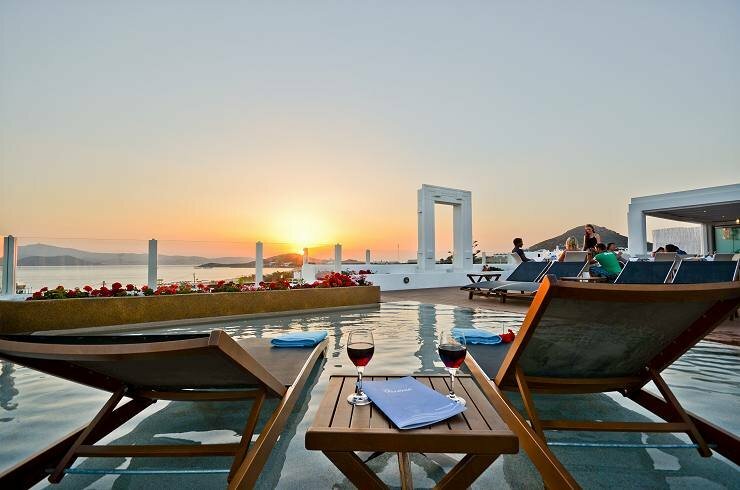 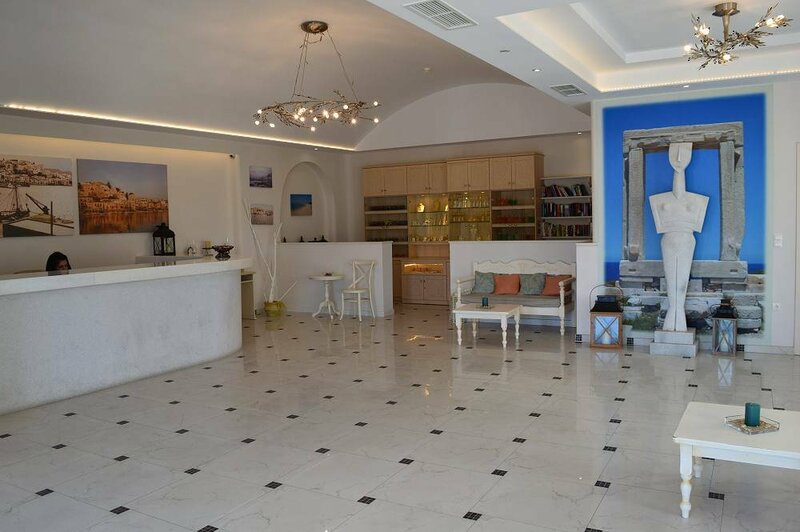 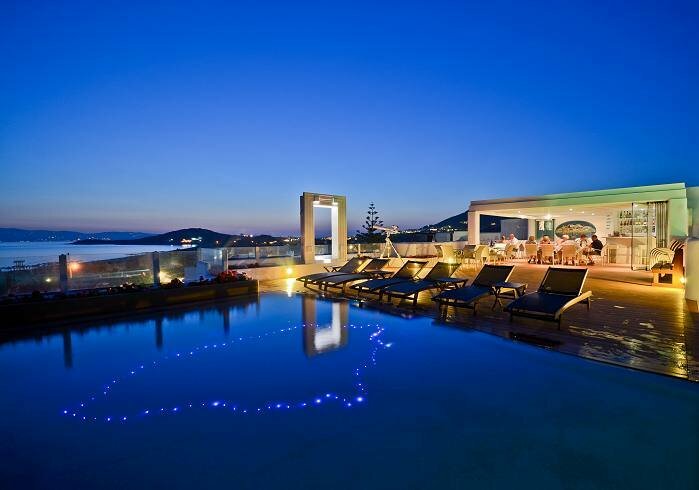 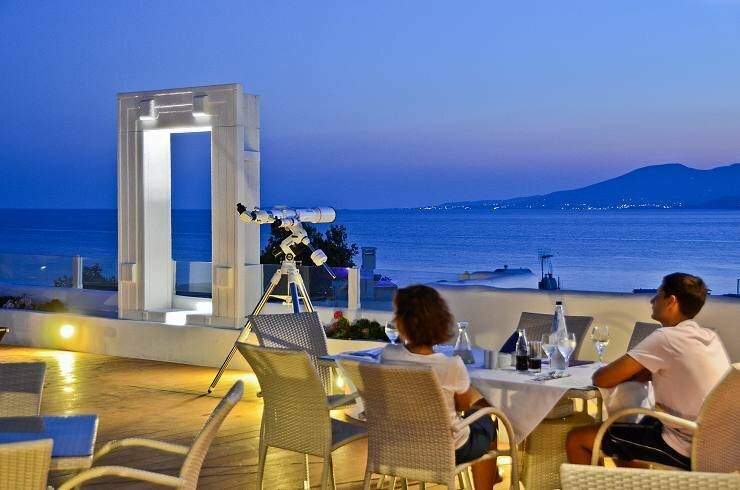 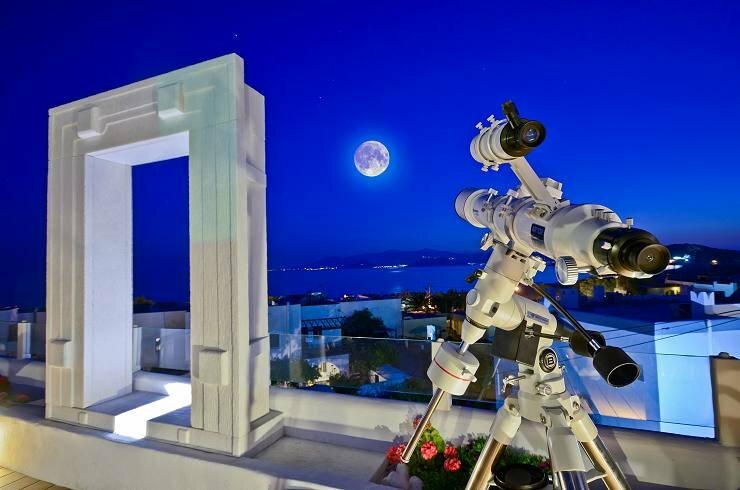 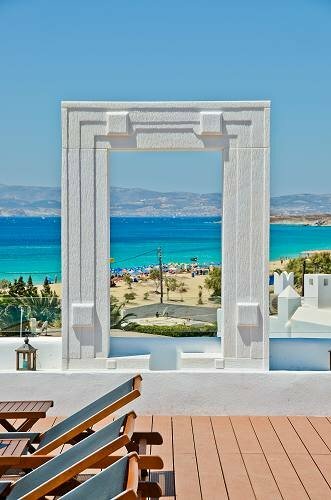 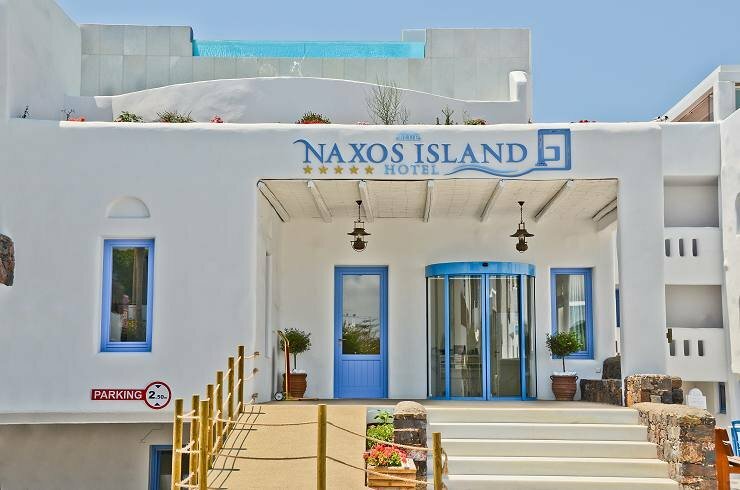 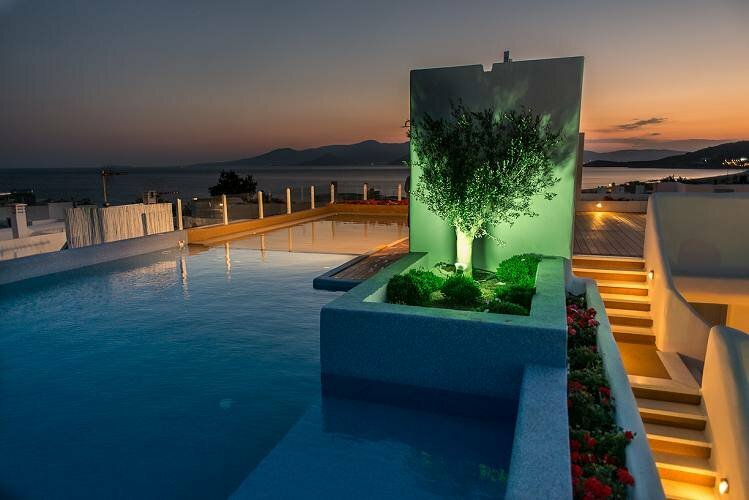 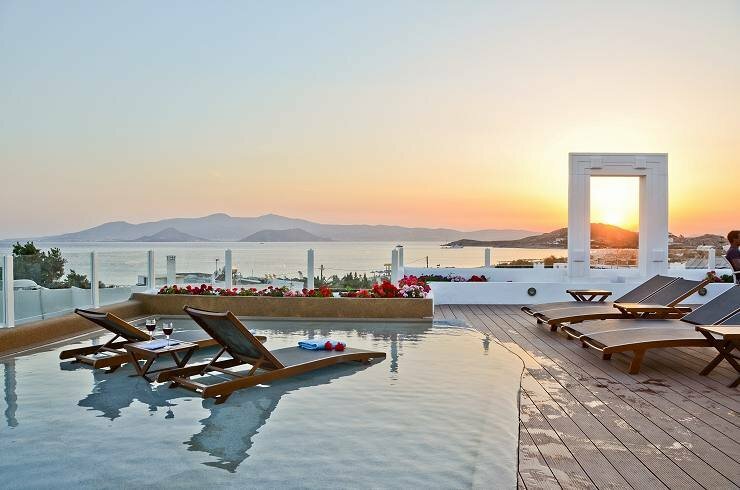 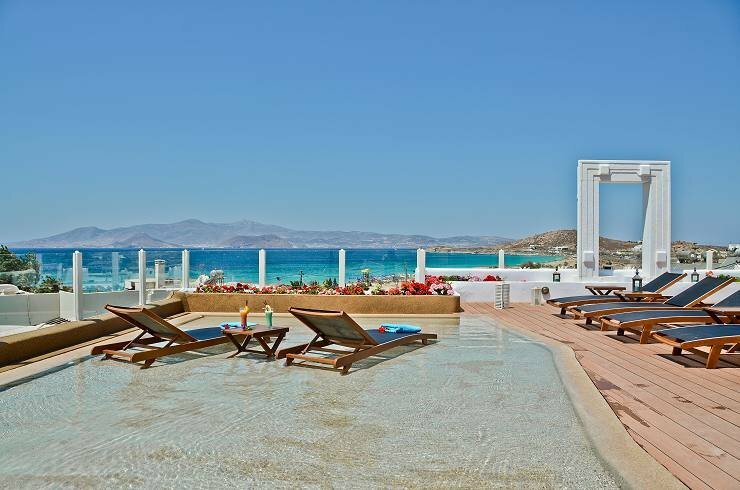 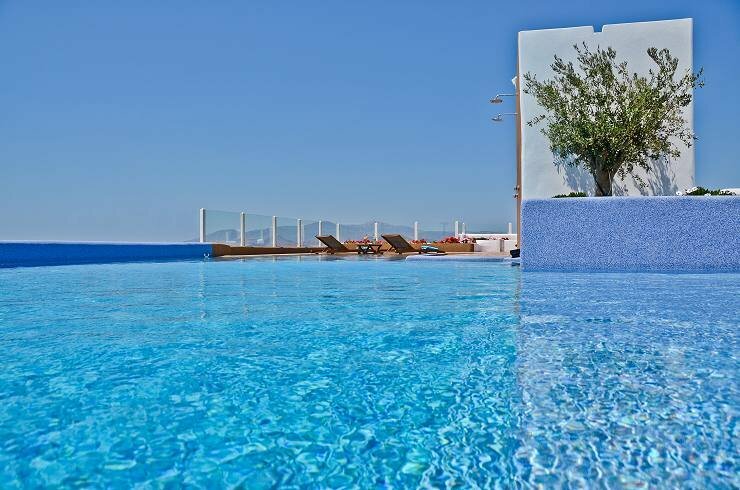 Naxos Island Hotel is constructed in traditional Cycladic style. 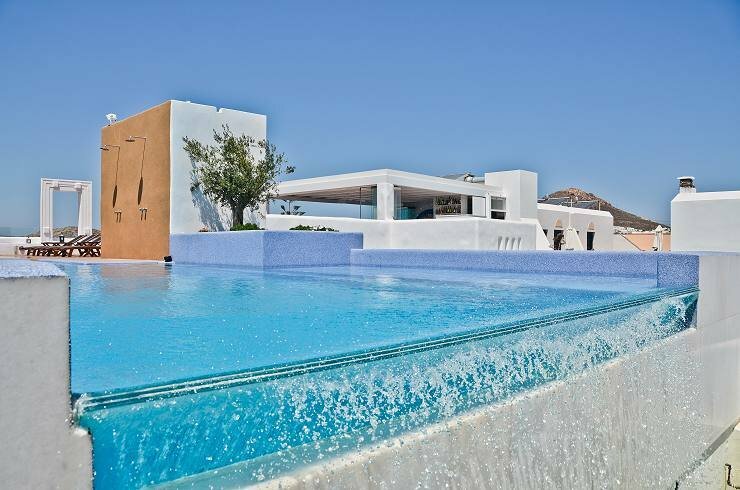 The materials used for the structure are marble, emery and plaster. 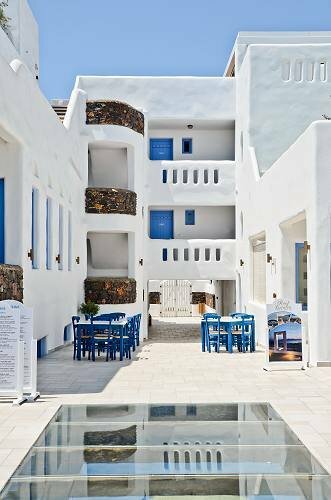 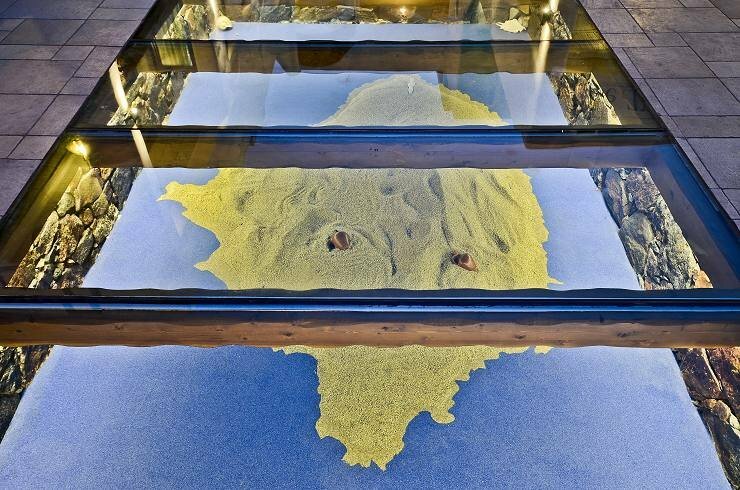 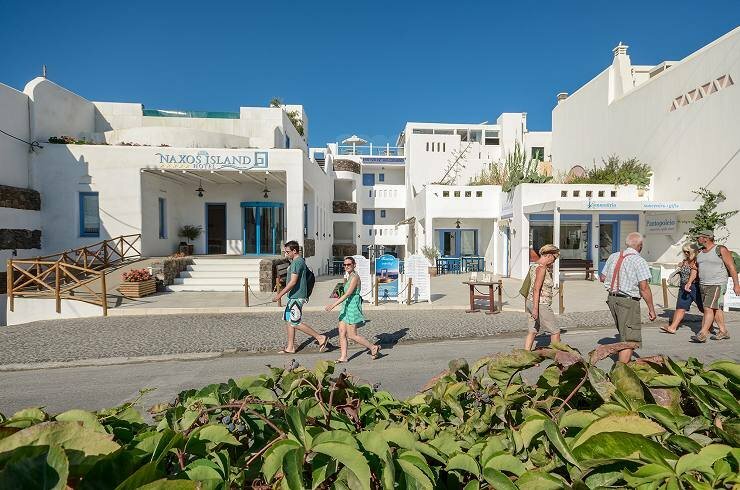 The hotel is a miniature of NaxosIsland where each room retains the features of a village. 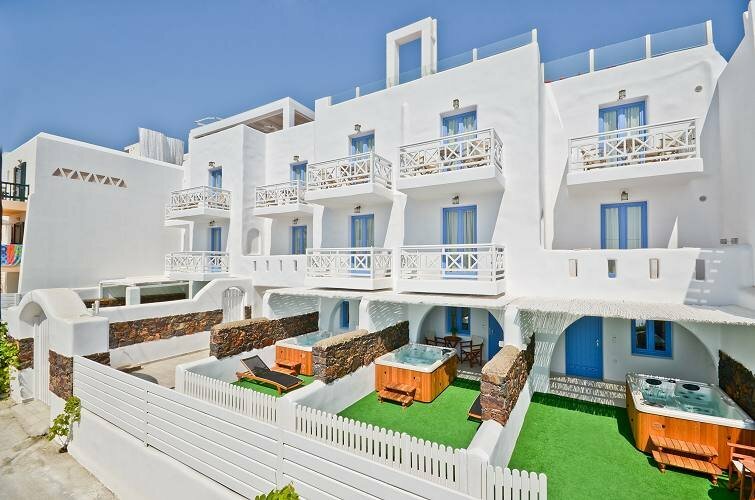 In addition each room represents one village and it is ornated with photos of the certain village. The hotel offers Restaurant, Roof Restaurant, Roof swimming pool, Hairdresser Salon, Souvenirs store, Conference room, Laundry and Dry cleaning services, Elevator, Health & Spa centre-separate for women and men, Gym, Breakfast Buffet, Bar, 24-hour Front Desk, Garden, Terrace, Non-smoking Rooms, Free Private Parking garage, Express Check-in/Check-out, Safety Deposit Box, Soundproof Rooms, Heating, Design Hotel, Luggage Storage, Allergy-free Room Available, Baby sitting, Twice a day maid service, Lan – Wireless Internet service, beach towels. 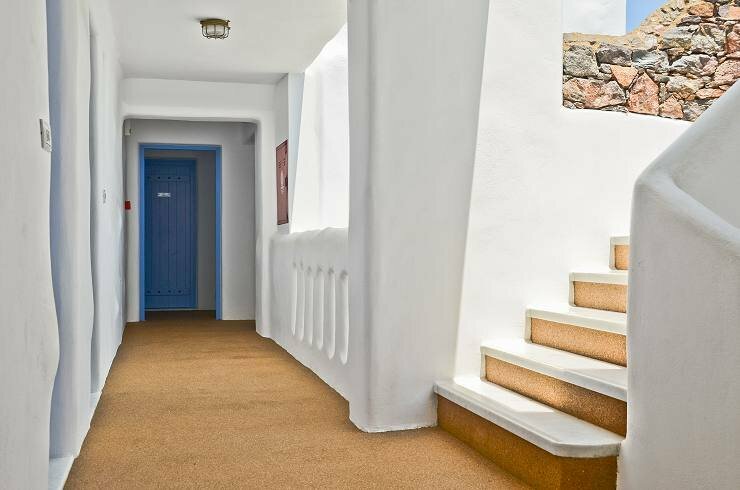 Room Facilities : Twice a day maid service , Minibar, Shower, Safety Deposit Box, Air-condition, Balcony, Radio, Electrical beds, Electrical toilets, Marble bath with deep soak bathtub Patio, Double sinks, Heating, Satellite interactive smart TV, Coffee/Tea Maker, Cable and wireless internet access for free, Bathrobe, Slippers & Beach Towels, Hair Dryer, Mosquito-prevent appliance, Wake Up Service/Alarm-clock, Refrigerator, Ironing Facilities (on request). 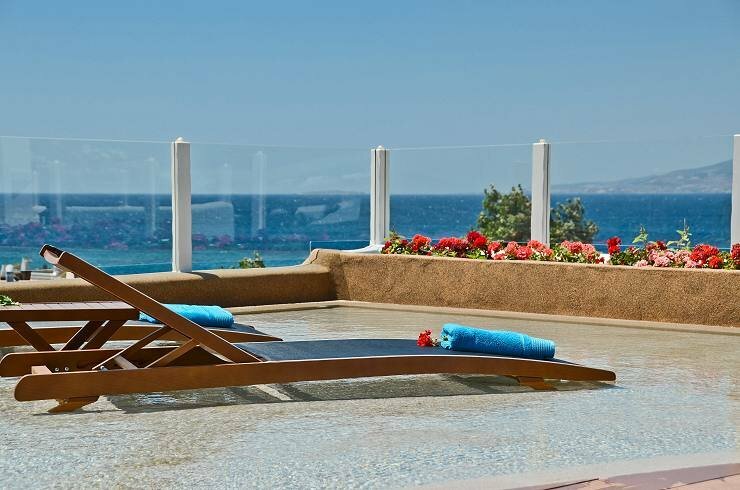 All rooms provide sea view or side sea view or terrace with private outdoor jacuzzi (hot spa tubs). 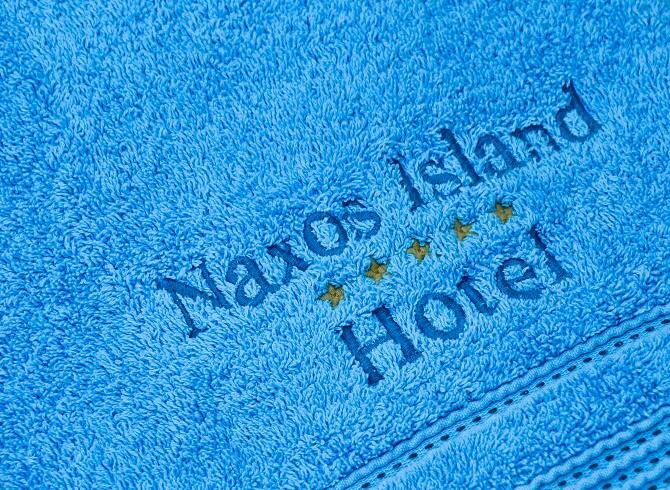 Suite facilities: Twice a day maid service , Minibar, Shower, Safety Deposit Box, Air-condition, Balcony, Radio, Electrical beds, Electrical toilets, Marble bath with deep soak bathtub Patio, Double sinks, Heating, Satellite interactive smart TV in each area, Coffee/Tea Maker, Cable and wireless internet access for free, Bathrobe, Slippers & Beach Towels, Hair Dryer, Mosquito-prevent appliance, Wake Up Service/Alarm-clock, Refrigerator, Ironing Facilities (on request), Seating corner, sofa, large veranda, private outdoor jacuzzi.